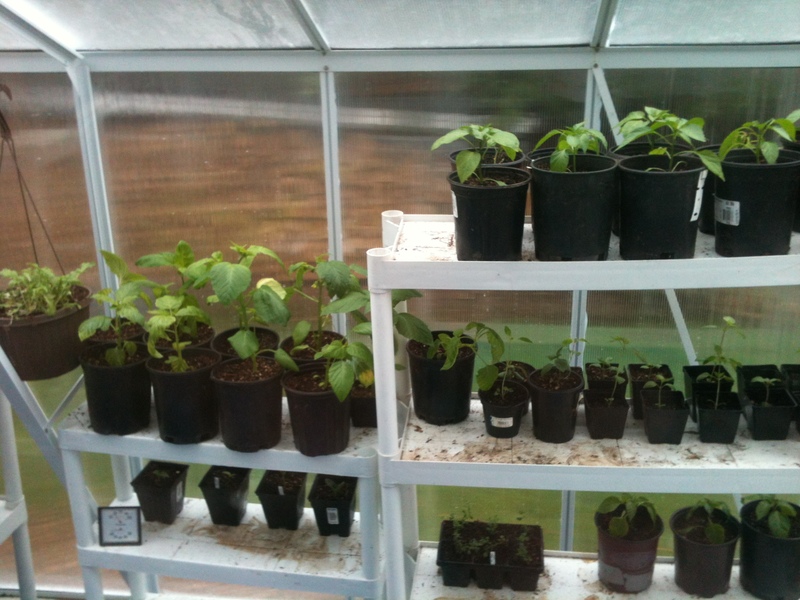 What a great tool a greenhouse is for rapidly launching healthy seedlings into the garden and food forest. Our current work flow consists of seeds started under grow lights in our garage, then potted up into the unheated greenhouse, and then on to the raised bed gardens or food forest (although the heat lovers may stay in the greenhouse indefinitely). Best of all is the space we have to grow seedlings for other folks; I’ve begun paying folks with bartered seedlings as folks in our zone begin thinking about setting out food plants for the spring. This is the view out our bathroom window into the attached, lean-to style greenhouse. Makes me smile every morning.